Leading direct marketing and lead generation agency Communication Avenue is championing sporting prowess with a sponsorship deal for Suggy’s Gym‘s Chad ‘2 Slick’ Sugden. As well as enabling Chad to concentrate on his professional boxing career, the funding will allow him to continue his work with local school children and young people with behavioural problems and learning difficulties. Chad leads inspirational sessions, providing advice about how he channels his energy into discipline, respect and fitness, at Bishop Alexander LEAD Academy, Farndon St Peter’s C of E Primary School and William Gladstone C of E Primary School. 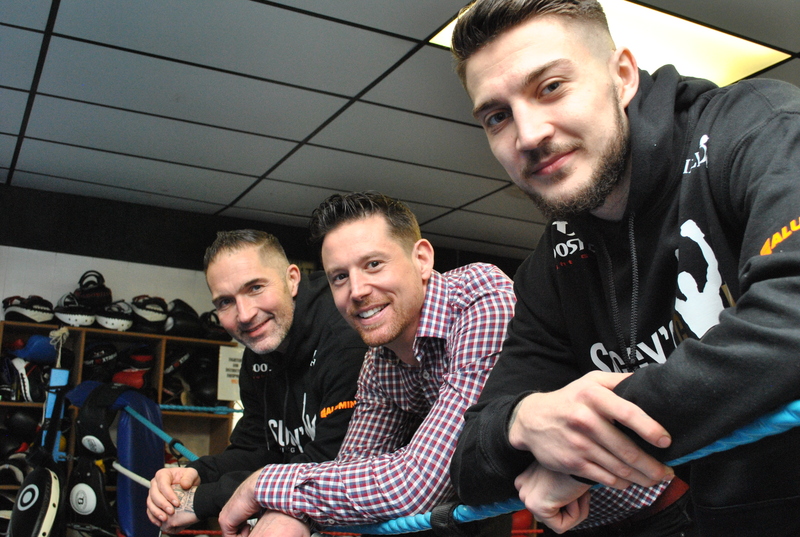 Phil Lightfoot, managing director of Communication Avenue, said: “I’m really pleased that we’re sponsoring Suggy’s Gym and Chad as he launches his career in professional boxing. “His drive to act as a positive role model and give something back to the local community aligns with our own ethos and inspired us to invest in his journey. Just a note to let you know that the link in this email isn’t correct. Thought you might want to fix it before you get loads more people telling you! Sent form my Samsnug table t. Apogolies for any spellnig miskates. Previous Previous post: On top form for tomorrow!